In two weeks, three days after Maya turns one and three months before I turn 30, I am going to run my first marathon. 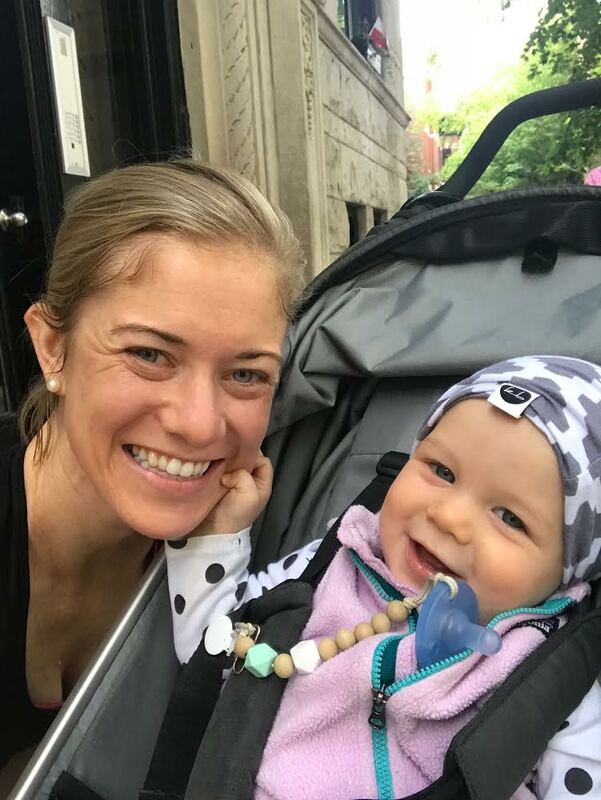 I wouldn't have thought the year I had a baby and started a job in investment banking would be the year I would choose to train for a marathon (what in the world was I doing at 25 years old that had me thinking I was so busy?!). But, I have decided to do it for two reasons. The first likely has to do with proving something to myself (and best left for a therapist?). But, the second, is to raise money for Beautiful Response. In the midst of a year where it has been so easy to turn inward and place all our focus and energy on our new little family, our work with Beautiful Response has kept us grounded and connected to the global community that we are all a part of. And, in a job where ten million dollars is a simple matter of rounding, our work with Beautiful Response has kept me grounded to the impact $400 can have when it pays for school fees. So, Maya and I are spending our mornings running the lake shore and I am raising $200 for every mile plus $800 for the last 0.2 mile* ( =$6,000 for 26.2 miles) to help raise money for the 76 kids we will be sending to school in the fall. Many of you have journeyed with Caleb and me over the last 9 (!!) years since we started Beautiful Response. It is such a special part of our story and hope you would consider this an official invitation to join us. It would mean so much if you would consider sponsoring a mile, a ½ mile, or a ¼ mile of the run. Do it here and note in the comments which mile is yours. What does it cost to run an orphanage in Uganda? We just wired money to Uganda for their June budget. We send money for tuition three times each year (January, April, August). In between those months we send money for the general operating expenses of Raising up Hope in Uganda. We didn’t have quite enough money in our bank account to meet all of the needs for June since the April tuition costs cleaned us out. Things just add up! To give you a sense of the monthly budget, I’ve listed out a few of the expenses. Who would have thought about firewood? Every meal requires it in Uganda. Several years ago, we purchased more efficient ovens, but the cost of firewood still adds up. Each month we need to send $150. Want to sponsor the firewood each month? The house mommas would love that! Staff costs are about $1,000 each month. The Village of Hope budget is about $1,200.00 which covers some of the slum outreach and provides for the young men living out at the Village of Hope. The RUHU Primary School is about $1,000/month. In total, the monthly operating budget is about $6,000. As I mentioned above, we were short this month. It is up to Patrick, William, and the staff to discern what gets cut. Unfortunately, there are no frivolous budget items. This budget is not exaggerating the expenses of any items. Every time we don’t have enough money in the bank, we know it is going to affect the children directly. If there is a need on this list that you think you could meet, or if there is a business or friend who might be willing to help us meet these needs, please consider connecting with us. We’d love to make sure that we have the funds to meet every single need that the kids in Uganda have. We were short on money in September. We’re going to be short in January. A few checks didn’t come in that we had planned on, so we’ve had to pull the budget’s belt a few notches tighter. We hate it. We hate replying to William’s emails with, “we just don’t think it’s wise to do X when we already can’t afford Y.” Because X is always improving children’s lives in some way, but so is Y. On Giving Tuesday, we raised over $6,000. Or rather, you raised over $6,000. It was amazing. At our chili supper in Wisconsin a few weeks ago, we raised over $15,000. It was Incredible. We will need over $40,000 in January to send all of the kids back to school (and to support staff, fund the day school, pay the water/electric/medical bills etc. ), which is overwhelming, but it already feels like God is working on it. Last week, Patrick called me. We talked for a good while. He knows that fundraising has been hard this fall and that we’re short on funds. But he is also the most hopeful person I know, and he already has plans for what will come next. He and William want to double the capacity of the day school, from 200 students to 400. He wants to throw a Christmas party for 800. He asked me how much money we need for our current commitments. He understands that we have to meet those commitments before we can move on to bigger and better things. The number I gave him was deflating. But God would provide, Patrick said. We serve a big God, he told me. I’ve seen hope persevere in Patrick too many times to doubt it, now. There are a thousand reasons why a new school should have failed; a thousand reasons why the Village of Hope was too far-fetched; a thousand reasons why orphaned and abandoned kids should fail. All of those reasons only make it more amazing when a child finally receives a high school diploma; when a teacher promotes a classroom of 1st graders to 2nd. It is with tremendous grief that I write this blog. Alan Sekandi, a 6th grader at Raising Up Hope for Uganda, passed away Sunday morning in Uganda. Alan was an incredibly bright and joyful young man with a tremendous future ahead of him. He was beloved among his brothers and sisters at RUHU. 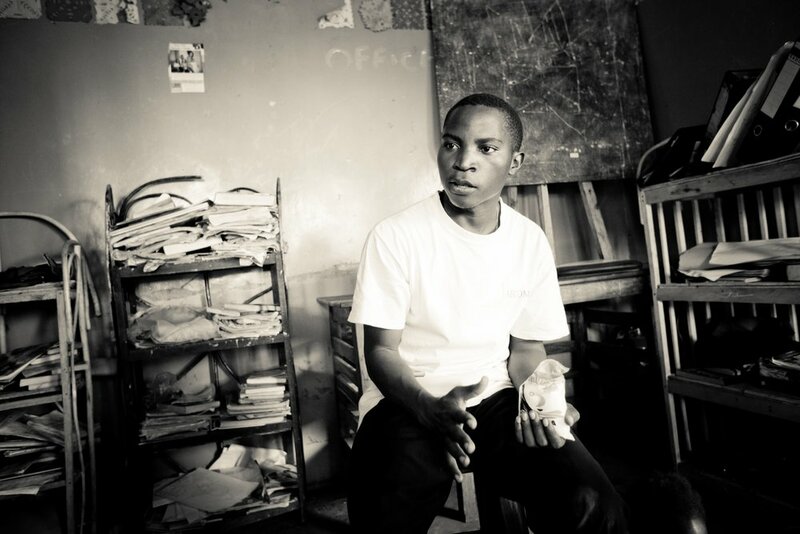 Alan was one of the oldest boys living at the Boy's Home full-time, and had become a leader for the younger boys. He often helped to lead worship in the home. Alan was found lying on the floor of the boy's home Sunday (11/28) morning. One of the older children who found him rushed to church to tell Mama Faith, who hurried to Alan's side. It appears that while washing the floor, Alan made contact with an outlet that was insecure and was electrocuted. By the time Mama Faith reached him, he had already died. The kids and staff of RUHU are in absolute disbelief. 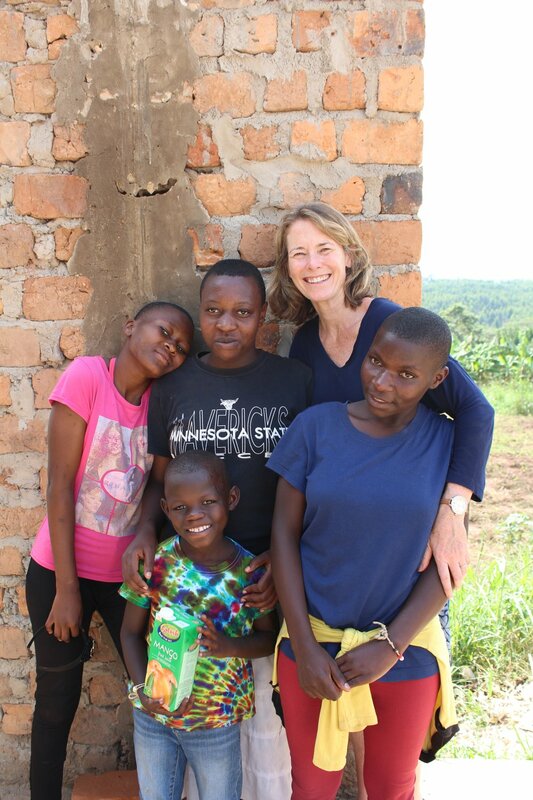 While Patrick and William, the leaders of RUHU, have unfortunately experienced deaths among the children they work with in Kampala, no child in RUHU's direct care program has ever died. The kids are scared, confused, and saddened by the loss of their friend and brother, Alan. For the staff, they have lost a son. This reading is on behalf of Daddy and Uncle Patrick, who is currently visiting the United States of America. I heard the terrible news about the sudden death of our child and brother, Allan Sekandi. This has upset me tremendously and the loss is unbelievable what has happened to me and the organization at large. First I would like to thank the community leaders, police and other community members who assisted in the initial process of helping the House Mamas and children prior to William’s arrival. We were all in shock, and still are, over the tragic accident that happened Sunday morning. It is my pleasure to have known you, Allan. You came to me as a stranger. For the past 10 years you have become a good friend of mine and part of my family. I just remember all of the good times that we had. You always had compassion and you always wanted peace. I remember, Allan, you always could not look onto someone who has annoyed you. You gave respect and walked away. That was a good example that everyone could look at. I will always remember you that way and always remember your smile. We love you and we will always cherish the time we had together. I remember the phone call I had with you while in the United States and you asked me to bring back pants, shirt and shoes for Christmas, which I was planning to get for you. Right now I’m sitting here on a computer reading a letter from your sponsor, Alyssa, saying how she is so proud of you and your hard work. She sends her condolences and her deepest sympathy to all of RUHU during this time of mourning. I will always remember you working hard at school and how much you could tell me that you were looking forward to being in P7. With the conversations that I’ve had with you, you always talked to me about how you would like to be through school and help others. You wanted to work on computers or be a lawyer. This was your plans but God had other plans for you. You were a child of God’s on earth and now you have been united with your Heavenly Father. Romans 14:7-9 For not one of us lives for himself, and not one dies for himself; for if we live, we live for the Lord, or if we die, we die for the Lord; therefore whether we live or die, we are the Lord’s. For to this end Christ died and lived again, that He might be Lord both of the dead and of the living. I believe and I know that your friends at school and brothers and sisters at RUHU will miss you a lot. Those we love don’t go away. They walk beside us every day unseen and unheard but always near still loved, still missed every day. 70 kids receive full-time care from Raising Up Hope in Uganda. While all of those kids are off at school during the day, the orphanage is filled with nearly 200 children that come to RUHU for schooling. Jackie is a foot shorter than me, but don’t let that fool you. She attended Barclay Secondary School and then received a diploma in education from Young Women’s Christian Association. She has been teaching for over 15 years. Most recently she taught at a nursery school in a part of town called Kibuye. It was the 2nd most prestigious school in Uganda. Jackie laughs as she tells me how much money she was making. “It was a lot of money,” she says. Teacher Jackie runs RUHU’s school. The other teachers ask her opinion on their lessons and their approach to teaching. The children sit upright and listen when Teacher Jackie speaks. She has high standards for her teachers and her students. With a monthly budget in the teens, Teacher Jackie has created an environment where kids, who otherwise would receive no education, can receive top-class instruction from teachers who love them. “Ever since I left my old post, I have never regretted coming to RUHU. My heart is released. The staff is so appreciative and the kids show so much love. I feel so happy.” Teacher Jackie is the sort of person you get behind. She is a rare example of determination, perseverance, hard work, and faithfulness. If you’d like to support Teacher Jackie, you can follow this link. Choosing to support a classroom or any of the teachers means the world to her. As I said goodbye and started the very long journey home (43 hours door to door), I was told again and again by the children to please tell their sponsors that they loved them and they pray for them always. Why do I make this trip? This is why; to tell the story to them from you, and from you to them. It is amazing that we can partner with people in Uganda and be a part of their story. That they can love us and care for us even though many will never meet face to face. So on behalf of so many beautiful children and adults, THANK YOU. Thank you for caring about issues of poverty, and education. Thank you for wanting to be a part of the solution. It matters. It matters to everyone I hugged, walked with, sang with and sent off to school. Because of you, they have tangible evidence that their life matters, that they are loved and that they are not alone. Enjoy some pictures now that I am home and have computers, internet and uploads all at my fingertips; and thank you for joining me on this journey. These are the words of Teacher Jackie as we rode away from the shop where we negotiated and purchased food for the students of the day school. These nearly 200 hundred children are not orphaned but are still so desperately poor that they cannot afford school fees and show up for the free day school run by the orphanage having not eaten. So the day school prepares a simple lunch. Corn maze and red beans. Sometime they don't have money and the shopkeeper mentioned above will give them food and wait to be paid. And teacher Jackie, this well educated Ugandan Christian woman who left her paying teaching job to volunteer teach is praising him as a trustworthy man. We have paid him ahead this time and he will deliver the maze and beans tomorrow. We climb back on the motor bike in the rain and head back to the orphanage. God is so faithful. "When I am home my life is busy with work, cares, distractions; and I forget. Then I come to Uganda to the orphanage. To the children. And I remember. Jesus said love as you have been loved. Care for those who are poor, helpless, forgotten. Today one of the girls trusted me with her story. At 12 her mom died. Already desperately poor she ended up in the slums; starving, only the clothes she wore and no shelter. Patrick found her. He invited her to come to RUHU. This is the where I meet her. Now she has food, shelter, clothes and is attending school. I forget that school is not free here and that there is no welfare provision. This orphanage was barely able to feed the children until Sonja and Caleb responded beautifully and came home and told their story and invited us to remember the sufferings of others. It is good to remember." "I have been back in Uganda for 3 days. We just got internet last night. The children are on a break from school so all the children are gathering together at the Village of Hope. It is beautiful to see them work together. Teachers and house mothers working together to prepare food for over a 100 children over a fire in a make shift outside kitchen. Teenage boys holding babies and keeping them happy and entertained. The older students are helping the newly off the streets children understand that they don't have to fight to survive anymore. The message that God loves them, that Jesus has died for their sins and the evil of the world is being told both with and without words. And we are here to remind them that others love them. People that have never met them are sendingmoney so they can eat and go to school. That we want them to know that their lives matter to God and to us. That their faith and courage to overcome actually inspires and builds our faith back in America. Yes. We are better together." "Thank you for traveling with me to Uganda via this blog. This is my third trip to Raising Up Hope in Uganda to visit the beautiful children who no longer live on the street without food or an education. I am so excited to see the change since my last trip 3 years ago. God is so faithful. Check back in a few days and I will have arrived and have news to share. Thank you for your prayers. Love and miss you all already." Janet lives in a small hut in rural Uganda, forty minutes down the road from Kampala. When she was younger, she had 10 children. “God took 8,” she tells me. When she was a child, her grandmother taught her how to take banana leaves and dry them; separate them into long strong strips; weave them into shapes that hold fast. She had forgotten all about weaving baskets until she was left with 11 grandchildren to take care of. Spending the mornings and afternoons farming wouldn’t be enough. She would have to spend her evenings making baskets; teaching her own grandchildren how to dry, separate, and weave. When I visit Janet, she is sitting inside a dimly lit hut. Her knees are wrapped in cloth, swollen, I can tell. She is glad to see Patrick, and he makes her laugh. She is desperately poor, probably hungry, has two broken knees (from a fall I learn about), has 11 grandchildren to care for and yet she laughs. Patrick has this effect on people-the indescribable ability to make people laugh who have no business laughing. But Janet too, she has the ability to laugh when I cannot find any reason. We have 5 of her baskets that we are selling on her behalf. I paid for them on the spot, and so she has the money already. She has probably paid for tuition payments for her two grandkids that are behind on their school fees. Or on food for 12. Or for a clinic bill for her knees. Buying one of those baskets will recoup our money. But mainly, buying one of those baskets, or supporting Beautiful Response in general, really does two things. First, it sends Patrick into more dimly lit huts to make tired grandmothers laugh and rediscover their sharp senses of humor. Second, it makes you a part of a bigger story. Those baskets, made by Janet and her grandkids, carry their story. If you’d like to order one of those 5 baskets, check out our Etsy page and make it happen. If you’d just like to support Patrick and send him into more dimly lit huts…you can be a part of that story here. Thanks.